For most marketers, Christmas planning gets underway in September/October, or sometimes even earlier. John Lewis, a major British department store, has already launched its online Christmas shop, which allows expats to buy their gifts and decorations at an early stage. Competitions and promotions for international customers is one marketing tool used by John Lewis. The retailer will run a competition at the end of October, specifically for international customers, which gives them the chance to win their Christmas wish list, valued up to €2,000. As well as having a dedicated Christmas advertisement running on British TV, John Lewis also makes savvy use of the Internet by streaming commercials on YouTube. Christmas ads are an invaluable tool for reaching a wider audience during this time of the year. Last year, John Lewis’ ad, The Long Wait, attracted one million views in five days on YouTube. This is quite impressive when advertisers have been predicting the end of commercials with viewers using systems such as Sky+ and TiVo to skip them. Businesses are increasingly making use of a range of media channels to reach out to international customers. From traditional banner advertising to social media and language targeted campaigns. These awards aim to find the best expat-run establishments around the world in various categories such as, British pub, British social club or British shop. The nominees are voted for by expats, which makes it a highly specialised campaign. Dedicated newsletters to international customers are another great marketing tool. They can be tailored to an expat audience with things such as Christmas order dates and special offers. British Corner Shop employs this technique during this time of the year and sells over 8,000 British products on its website, and delivers to any country in the world. When your audience is scattered around the world, marketers face additional challenges. “The main thing to bare in mind when targeting people living abroad are the international delivery times around Christmas,” Luttamaguzi explained. Therefore, John Lewis and other international retailers need to work hard to remind their customers abroad of the final cut-off date for international Christmas orders, for example, 13 December for products from the UK. 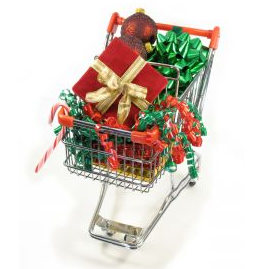 Online shopping is becoming increasingly popular with Christmas sales growing every year. In the UK, online sales increased 30 percent from 2010 to 2011. With business in the week before Christmas 2011 almost doubling compared to the previous year. In the United States more than half (51.8%) of consumers will shop online this holiday season, according to statistics from the National Retail Federation. This is an increase from 46.7 percent last year. 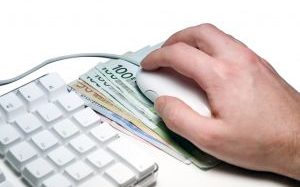 Currently, 43 percent of EU citizens shop online. However, few people buy online from companies outside their home country. This supports the idea that expats living abroad return to trusted names from home when shopping online. However, the European Commission (EC) is looking to break down borders in online marketing. If this is the future then online retailers could access a much wider international market. Posted in Online Marketing.Tagged Christmas campaigns, Christmas marketing, expat Christmas campaigns, expat Christmas shopping, marketing online, online shopping.